Need to rent a car for a month or longer? Consider Turo, a peer-to-peer car sharing marketplace that's been likened to an AirBnB for cars. With over 170,000 car listings on Turo, this is a well-established marketplace, not a flash-in-the-pan startup. If you're 21 or older and want to rent a car in the U.S., Canada or Germany, you can use Turo to find car owners willing to rent out their vehicles for as little as a day or to up to a year. The upsides are impressive. Many people like Turo's non-corporate vibe, where the rental experience feels more like borrowing a car from a friend than renting from a big company. Contracts have a lot less fine print than you get with a traditional rental car company. Turo offers two rather pricey insurance plans that include comprehensive collision and liability coverage. And drivers under age 25 will find Turo more hospitable than major rental agencies—though there is still an extra fee for young drivers. While some owners offer discounts for longer-term rentals of a month or more, it may come as a surprise that prices in general are in the same ballpark as those at the major car rental companies. When we compared different options for long-term rentals in a price-check sample, Turo was as pricey as the agencies. Other drawbacks include uncertainty about the state of the vehicle. With Turo, you're at the mercy of the car owner when it comes to the condition and maintenance of the car. Turo says it removes listings when it receives reports that a vehicle hasn't passed inspection or isn't well-maintained. You can't use your credit car insurance coverage, and the insurance that Turo offers can get pricey. Like its fellow disruptor Airbnb, Turo has had its legal challenges and is currently banned in New York State. Turo is an online marketplace. The first time you rent from Turo, the process isn't instantaneous. Before you can become an approved driver, Turo will check your credit and driving history and make sure you meet their eligibility requirements. Next, you can search for a car, specify the rental period, and select your insurance plan. You can communicate directly with the owner and, if approved for the rental, you can pick up the car or have it delivered . The owner will give you the keys and answer any questions. Check that the gas tank is full and the car in good condition. Once your rental is completed, return the car with the tank filled. Insurance: Turo offers two pricey insurance plans, Premium and Basic. Just like major rental companies, Turo gives you the option to waive the insurance options if you already have coverage. Turo's insurance plans cover physical damage to the vehicle as well as liability. The premium plan is priced at a whopping 40 percent of the rental, and the basic plan costs 15 percent of the rental. Here's a detailed view of Turo insurance options. 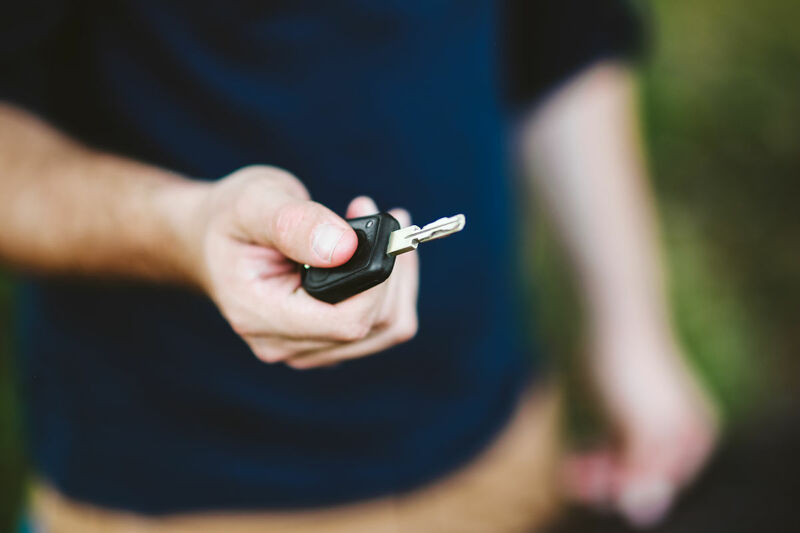 If your personal car insurance policy covers rentals, then you might be covered. Call your insurance to ask if your policy would cover a rental through Turo. Credit card collision coverage generally won't cover a Turo rental. Extra Fees: Turo will charge for additional mileage, late returns and cleaning. Here's the full guide to fees and fines. Limitations and Restrictions: Turo allows you to rent a vehicle for up to a year. Young drivers under age 25 pay a fee—either a one-time charge of $10 or 30 percent of the rental price, whichever is higher. Deluxe, super deluxe, specialty and classic cars have additional restrictions. Roadside Assistance: Turo's insurance plans include roadside assistance. If you have a breakdown or other issue, they'll connect you with a dispatcher. The services provided, however, must be paid out-of-pocket unless the problem is due to improper maintenance, in which case the car owner pays. If you have roadside assistance through AAA or your credit card, you can also use that. Long-Term Discounts: Some owners provide a discounted monthly rate, typically ranging between 10 and 35 percent off the regular rate. Turo has a search tool for long-term rentals, we found that this tool does not produce results different from the standard search tool. Turo is a great service that lets you can find relatively cheap long-term rentals without the hassle of dealing with a huge company. If you do your homework about insurance options and communicate with the owner, renting through Turo should be a breeze. If you're using Turo for a long-term rental, be sure to check with the owner about any persistent issues and how you will deal with any necessary maintenance. Who pays for oil changes and tire rotations? You pays for larger jobs? Set up a recurring call to keep communication going throughout the rental period.